Home Technology What is Ethical Hacking ? What are Ethical Hacking Rules ? The term hacking has been around for a long time now. The first recorded instance of hacking dates back to the early 1960s in MIT where both the terms, ‘Hacking’ and ‘Hacker’ were coined. Since then, hacking has evolved into a broadly followed discipline for the computing community. In this What is Ethical Hacking article, we are going to go through the fundamentals of Ethical Hacking. What is Ethical Hacker ? An ethical hacker is an individual hired to hack into a system to identify and repair potential vulnerabilities, effectively preventing exploitation by malicious hackers. They are security experts that specialize in the penetration testing (pen-testing) of computer and software systems for the purpose of evaluating, strengthening and improving security. An ethical hacker is also known as a white hat hacker, red team, tiger team or sneaker. Hacking is the process of finding vulnerabilities in a system and using these found vulnerabilities to gain unauthorized access into the system to perform malicious activities ranging from deleting system files to stealing sensitive information. Hacking is illegal and can lead to extreme consequences if you are caught in the act. People have been sentenced to years of imprisonment because of hacking. Nonetheless, hacking can be legal if done with permission. Computer experts are often hired by companies to hack into their system to find vulnerabilities and weak endpoints so that they can be fixed. This is done as a precautionary measure against legitimate hackers who have malicious intent. Such people, who hack into a system with permission, without any malicious intent, are known as ethical hackers and the process is known as ethical hacking. So now that we know what exactly What is Ethical Hacking, and who ethical hackers are, let us go over the What are the key concepts of ethical hacking. Stay legal – Obtain proper approval before accessing and performing a security assessment. Define the scope – Determine the scope of the assessment so that the ethical hacker’s work remains legal and within the organization’s approved boundaries. Report vulnerabilities – Notify the organization of all vulnerabilities discovered during the assessment. Provide remediation advice for resolving these vulnerabilities. Respect data sensitivity – Depending on the data sensitivity, ethical hackers may have to agree to a non-disclosure agreement, in addition to other terms and conditions required by the assessed organization. Password Cracking – Recovering passwords transmitted via computers. Vulnerability Scanner – Network checking for known weakness. Spoofing Attack – Involves false sites, to be trusted by users for data breaching. Packet Sniffer – Apps that identify data packs for data/passwords view in transit via networks. Trojan Horse – It acts as backdoor for an intruder to gain access to the system. Rootkit – It provides a set of programs to have control over OS with legitimate operators. Keyloggers – It is used to record each keystroke in the machine for collecting later. Viruses – These are self-replicating executable programs by themselves into different files. Before ethical hacking is carried out, the firm/organization needs to have a look & understand its work process business, network & system which helps in safeguarding the sensitive information like confidential data, legal information. Do follow the rules & regulations in handling the sensitive financial, personal, organization information & determine the sensitivity of the information. During the process of ethical hacking, maintain transparency with the client. Let the clients know all the information related to network & systems on their side. It enables the client to react accordingly to enable security of the network or system. Do follow the limits set by the clients during the process of ethical hacking. It is possible for an ethical hacker to access the data beyond the targeted areas. This helps in building trust between the ethical hacker and the client. Ensure all the information is lead by a step by step process. After the process of What is Ethical Hacking, never disclose information to any other clients. Ethical hacking is performed to ensure the security of network & system security flaws. It may also lead to legal issues. what is ethical hacking? Ethical hackers use their knowledge to secure and improve the technology of organizations. They provide an essential service to these organizations by looking for vulnerabilities that can lead to a security breach. Malicious hackers intend to gain unauthorized access to a resource (the more sensitive the better) for financial gain or personal recognition. Some malicious hackers deface websites or crash backend servers for fun, reputation damage, or to cause financial loss. The methods used and vulnerabilities found remain unreported. They are not concerned with improving the organizations security posture. What is Ethical Hacking ? While assessing the security of an organization’s IT asset(s), ethical hackers aim to think like an attacker. In doing so, they look for attack vectors against the target. The initial goal is to perform reconnaissance, gaining as much information as possible. They do not stop at uncovering vulnerabilities. Ethical hackers use exploits against the vulnerabilities to prove how a malicious attacker could exploit it. There are many terrorists and terrorist organizations that are trying to create havoc in the world with the use of computer technology. They break into various government defense systems and then use this for their terrorist activities. This can be prevented by using the services of ethical hackers who counter the terrorists by misleading them. The preventive action that is taken by the governments against the breaking of the networks saves money in billions of dollars as rectifying and building systems from scratch will cost a lot and also is very time taking. So the use of ethical hackers in doing this work of preventing the real hackers from getting to the important information helps save a lot of money and also time. The ethical hacking is also used to try and test the existing defense systems. Ethical hackers are also used to build a foolproof system that prevents the breakdown of the existing system. Using the powers of the hackers to get a proper system built helps to prevent penetration by the hackers and saves the information in the various government networks. Limited scope – Ethical hackers cannot progress beyond a defined scope to make an attack successful. However, it’s not unreasonable to discuss out of scope attack potential with the organization. Resource constraints – Malicious hackers do not have time constraints that ethical hackers often face. Computing power and budget are additional constraints of ethical hackers. Restricted methods – Some organizations ask experts to avoid test cases that lead the servers to crash (e.g., Denial of Service (DoS) attacks). That’s all in this What is Ethical Hacking article. 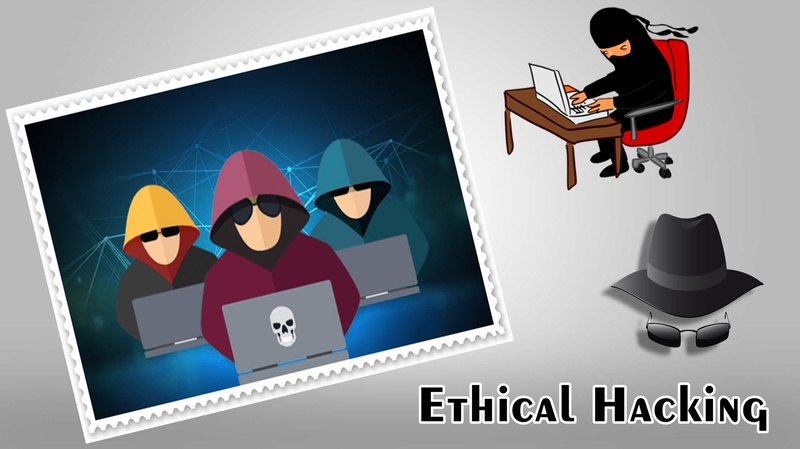 If you like this article about What is Ethical Hacking, so please like and comment and Do not forget to share this post which is related to what is ethical hacking, with your friends. Also, do share your feedback in the comment section below. Next articleएक सफल Chartered Accountant कैसे बनें ?